I don’t just design and build beautiful WordPress websites; I use strategy and marketing techniques to ensure your website WORKS for your business. A Business Flock website showcases your brand, makes your products or services irresistible, wins you customers and – ultimately – makes you money! Because (let’s be honest here), that’s what you need your website to do! All of my websites are mobile responsive which means they will work (and look fabulous!) across desktops, laptops, tablets and mobile phones. Now here’s the technical stuff… (don’t worry if it doesn’t all make sense – it basically just means that I’m a bit of a geek and really do know what I’m talking about – and I’ve got the qualifications and experience to prove it). I am a highly proficient WordPress developer with experience in creating custom themes, developing custom plugins, building complex WordPress websites, optimising sites to make them run faster and strategically improving them to make them work BETTER for your business. I code cross-client responsive email newsletter templates, including integration with software such as Mailchimp and Campaign Monitor. Adobe Photoshop is my design software of choice. I use it for all my design projects, including: websites, newsletter templates (web & print), social media graphics, business cards, advertising banners, posters and even t-shirt and greetings card designs. I have a first class BSc(Hons) degree in Web Design and graduated in 2012. 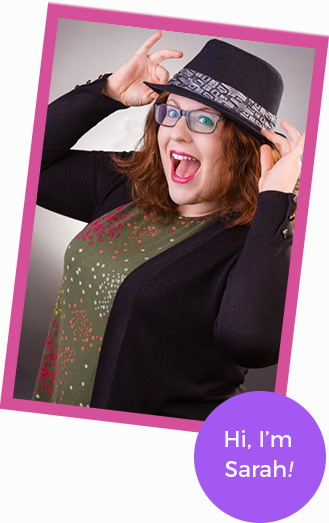 I spent two years working in marketing agencies in Bristol and Newbury before starting my own business in March 2014. If you’ve got a website or marketing project coming up and think we’d be a good fit to work together, send me a message.